A nanny resume can provide parents with essential information about nanny candidates. Presenting essential information in a neat and organized fashion can help parents easily discover crucial information about potential childcare providers. eNannySource providers the Nanny Application as an alternative to a resume. The nanny application provides parents with all of the details a resume would include, but in a consistent format from all prospective candidates. Nannies may wish to present parents with a well-crafted resume during the face-to-face interview. Presenting a formal resume can set you apart from other candidates and demonstrate to parents that you are a professional. 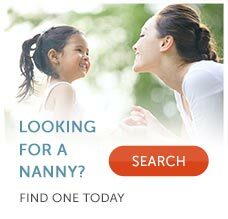 Contact information Your nanny resume must include your contact information. Typically your name, address, phone number and email address should be included. If you are not yet comfortable disclosing your physical address, you can wait until a later stage in the interview process to do so. Work experience The job experience section of the resume should include an overview of each position that a nanny has held over the past 7 to 10 years. Be sure to include the length of time you held each position. For nanny positions, be sure to include the ages of the children that were in your care and the duties and responsibilities of each position. You'll also want to include a short statement that summarizes why each position has ended. Education and Training The education section of your resume should include your educational experiences. If you have attended college or a university, be sure to list that information. If you have taken coursework at conferences or participated in workshops, here is the place to include it. Don't dismiss your educational experiences, even if they are not directly related to childcare. If you have taken sign language classes presented by your local community center, it's important to include. A family who has a child that is interested in sign may value your educational experience. Volunteer Experience The volunteer section of the resume can be used to highlight any volunteer experience you may have. Parents are interested to know how their nanny candidates spend their free time and are eager to know what interests their potential nanny has. Professional Affiliations The professional affiliations section is the place to list any childcare related organizations you belong to. If you are a member of the International Nanny Association or your local nanny support group, here is the place to include that information. References The references section is the area where you can list the contact information for those individuals potential employers can contact. References should be individuals whom have firsthand knowledge of your care giving abilities. Previous employers are standard references. If you are not comfortable proving reference information in your resume, you can include a statement that says references are available upon request. Nannies may wish to also include a cover letter with their resume. A cover letter is written to potential nanny employers and outlines why the nanny wishes to gain nanny employment, the type of position she is seeking and an overview of her qualifications, special skills and talents. Your resume and cover letter should give parents insight into your personality. Are you the taskmaster a family needs? Or are you the soft-hearted, big sisterly type of nanny that can bring comfort to a latchkey kid? The better you can communicate your personal style the quicker you are to find a family that embraces it. As a nanny, the nature of your work is personal and intimate. Showing that you have an understanding and appreciation for confidentiality can help foster feelings of trust and respect. Potential employers will regard you more highly if you maintain a polite distance and avoid divulging or asking for a great deal of personal information. They'll also appreciate your respect for privacy if you show respect for your previous employer's privacy. Before providing a reference, be certain you have permission to disclose personal information, including their names and phone numbers. When you prepare your resume, you may wish to create two versions, one with your list of references and one without. Alternatively, you may create a separate reference sheet available to potential employers upon their request. Doing so limits the circulation of your references to only the group of families seriously interested in hiring you. Parents want to know you have chosen to be a nanny. They are eager to know if your motivation is noble and are curious as to why you've settled on a career in in-home childcare. Dedicate a portion of your cover letter to explain why you enjoy working with children in their private homes. Understanding why you do the work you do will help families decide if they want to get to know you better. Remember that for most families, choosing a nanny is a very personal and individual decision. Your personality and work style can help parents determine you if you'd be a good fit for their family.